Dekhon is pouring its efforts into the heart of India's seed and steel industry - central Maharashtra. It is a semi-arid, agricultural area dotted with villages of varying sizes. The primary income source of the population is agriculture and small business ownership visible in the multitude of roadside shops and eateries. All of these businesses depend on the monsoon for a productive year. If the rain is scarce, the crops do poorly and there is less money to be spent, thus the society shudders to a standstill, to face the harsh summer before again awaiting monsoon downpours. When the monsoon rains arrive, they come in force, and the landscape goes from bleak to lush overnight. As with other aspects of life, the monsoon is indicative of the health-care people will opt to receive in the non-planting season, depending on how much the monsoon has given them in terms of income. Dekhon seeks to address Maharashtra's ever-present issues of cataract, refractive error and eye infection. Agriculture is a dangerous practice for the eye, as farmers are constantly exposed to intense heat, insecticides, pesticides and a variety of irritants from the soil and the dusty air. Additionally, poor monitoring of secondary diseases like diabetes and heart issues contribute to lack of related treatment of the eye. 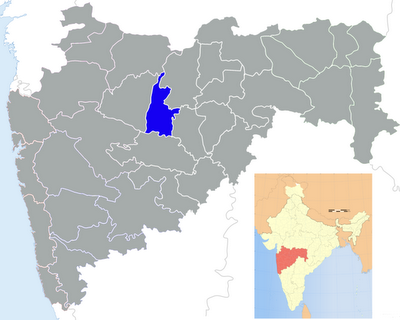 Dekhon's base of operations is the already established eye hospital Shri Ganapati Netralaya in Jalna, Maharashtra. Jalna is located approximately 50 km East of the city of Aurangabad, where there are already many practitioners to treat eye-issues caused by the city's many industries. From Jalna, Dekhon seeks to spread its reach to the high priority (especially under-treated) East and South East, before reaching out to other parts of the state.